Yes, I am willing to participate in small group sharing. Please Select the days and times when you would be available. Are you willing to be a small group facilitator? 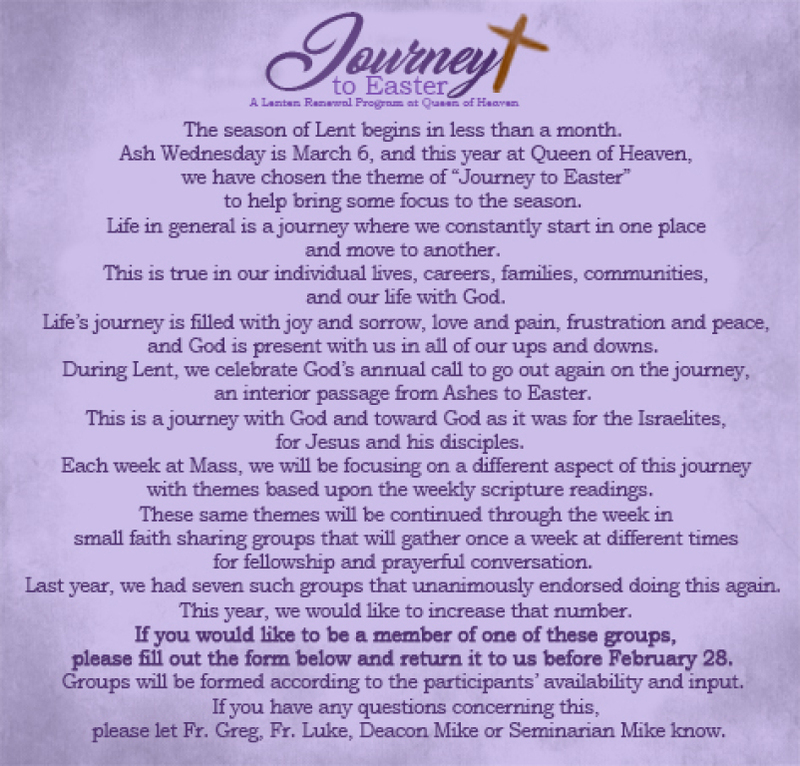 A training will be offered for you on Ash Wednesday, March 6 at 7:00 pm.